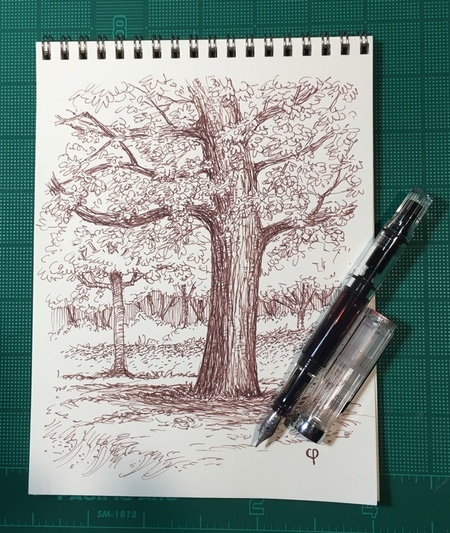 Today is October 1, the first day of “inktober” 2018. For more information on what Inktober is, and how to participate or just enjoy, see my previous post on Inktober. Aha! Just what I need to focus me. I’m in. Thanks for the reminder! Lovely sketch and lovely ink! Wow, great drawing. Are you using Jake Parker’s prompt list (i.e. “poison”) or something else? Very nice drawing. I like trees and I like trees drawings. Thanks, Li-An. Nice to hear from you!